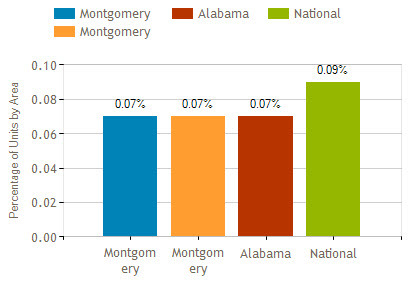 In May, the number of properties that received a foreclosure filing in Montgomery, AL was 1% higher than the previous month and 16% higher than the same time last year, according to RealtyTrac.com. 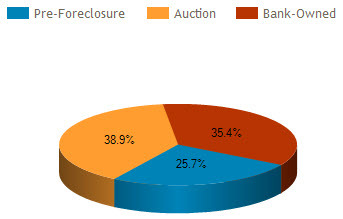 Auctions accounted for 38.9% of foreclosure activity in May 2015, Pre-foreclosures accounted for 25.7 and Bank-owned properties accounted for 35.4%. The number of Bank-Owned properties decreased 0.6% compared to the previous month and increased 58.2% from the previous year in May. 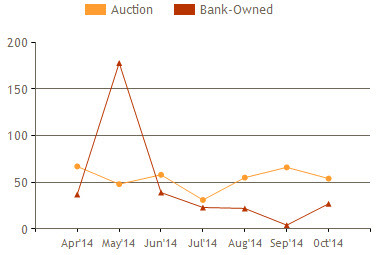 The number of Auctions increased 5.6% compared to the previous month and 4.9% from the previous year. Pre-foreclosures dropped 4.0% from the previous month and 5.2% from the previous year. 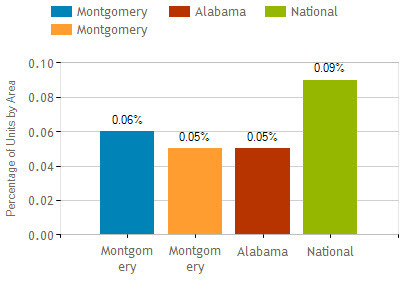 In April, the number of properties that received a foreclosure filing in Montgomery, AL was 86% higher than the previous month and 36% lower than the same time last year, according to RealtyTrac.com. 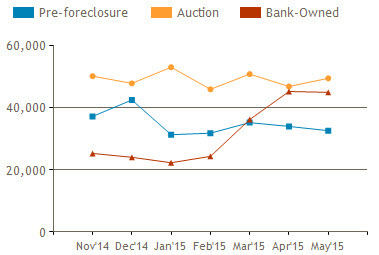 Auctions accounted for 76.1% of foreclosure activity in April 2015 and Bank-owned properties accounted for 23.9%. The number of Bank-Owned properties decreased 33.3% compared to the previous month and decreased 56.8% from the previous year in April. 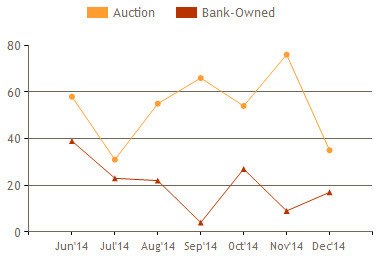 The number of Auctions increased 325.0% compared to the previous month and dropped 23.9% from the previous year. 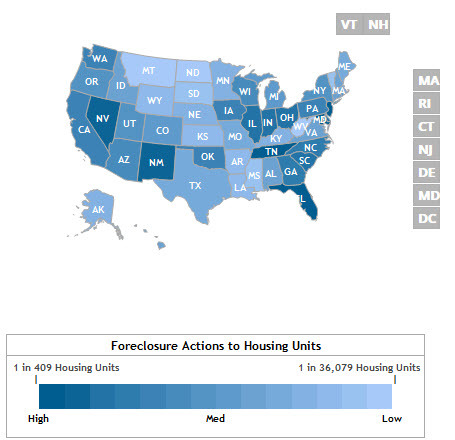 Montgomery AL foreclosure activity was 0.02% lower than national statistics, the same as Alabama numbers and Montgomery County statistics in April 2015. In February, the number of properties that received a foreclosure filing in Montgomery, AL was 90% higher than the previous month and 27% higher than the same time last year, according to RealtyTrac.com. 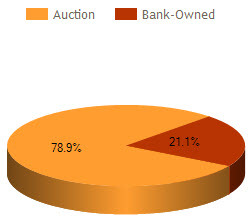 Auctions accounted for 78.9% of foreclosure activity in February 2015 and Bank-owned properties accounted for 21.1%. The number of Bank-Owned properties decreased 9.1% compared to the previous month and increased 33.3% from the previous year in February. 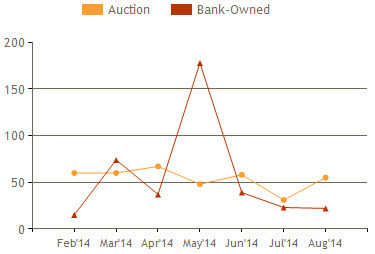 The number of Auctions increased 167.9% compared to the previous month and 25.0% from the previous year. Montgomery AL foreclosure activity was 0.02% higher than national statistics,0.02% higher than Alabama numbers and the same as Montgomery County statistics in February 2015. In January, the number of properties that received a foreclosure filing in Montgomery, AL was 2% higher than the previous month and 55% lower than the same time last year, according to RealtyTrac.com. 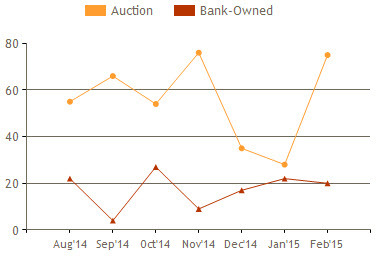 Auctions accounted for 39.6% of foreclosure activity in January 2015 and Bank-owned properties accounted for 60.4%. The number of Bank-Owned properties increased 88.2% compared to the previous month and decreased 22.0% from the previous year in January. 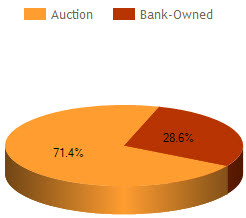 The number of Auctions decreased 40.0% compared to the previous month and 72.4% from the previous year. 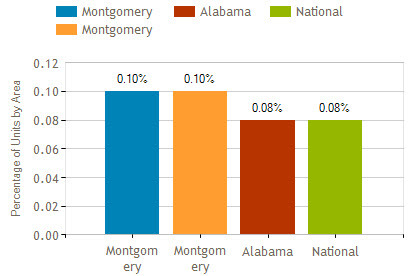 Montgomery AL foreclosure activity was 0.03% lower than national statistics,0.03% higher than Alabama numbers and 0.01% higher than Montgomery County statistics in January 2015. In December, the number of properties that received a foreclosure filing in Montgomery, AL was 39% lower than the previous month and 56% lower than the same time last year, according to RealtyTrac.com. 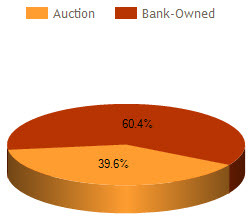 Auctions accounted for 67.3% of foreclosure activity in December 2014 and Bank-owned properties accounted for 32.7%. The number of Bank-Owned properties increased 88.9% compared to the previous month and decreased 66.0% from the previous year in December. 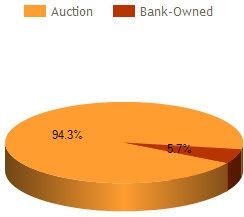 The number of Auctions decreased 53.9% compared to the previous month and 49.3% from the previous year. 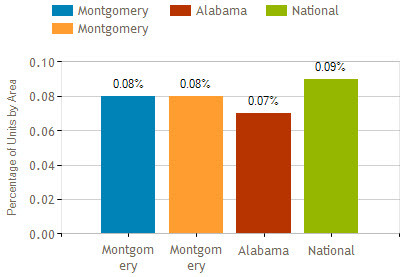 Montgomery AL foreclosure activity was 0.04% lower than national statistics, the same as Alabama numbers and the same as Montgomery County statistics in December 2014. 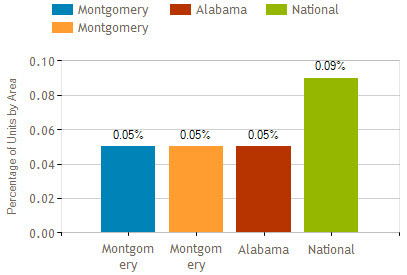 In October, the number of properties that received a foreclosure filing in Montgomery, AL was 16% higher than the previous month and 5% higher than the same time last year, according to RealtyTrac.com. 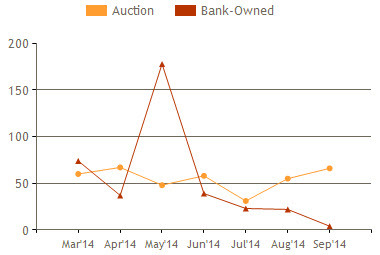 Auctions accounted for 66.7% of foreclosure activity in October 2014 and Bank-owned properties accounted for 33.3%. The number of Bank-Owned properties increased 575.0% compared to the previous month and decreased 37.2% from the previous year in October. 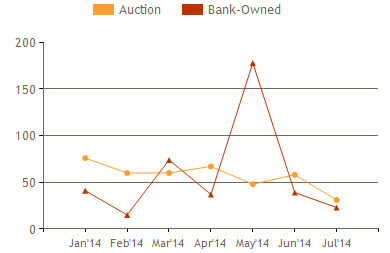 The number of Auctions decreased 18.2% compared to the previous month and increased 58.8% from the previous year. Montgomery AL foreclosure activity was 0.01% lower than national statistics, 0.01% higher than Alabama numbers and the same as Montgomery County statistics in October 2014. In September, the number of properties that received a foreclosure filing in Montgomery, AL was 9% lower than the previous month and 8% lower than the same time last year, according to RealtyTrac.com. 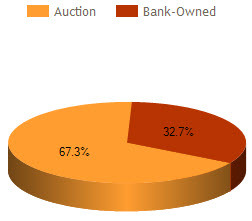 Auctions accounted for 94.3% of foreclosure activity in September 2014 and Bank-owned properties accounted for 5.728.6%. The number of Bank-Owned properties decreased 81.8% compared to the previous month and 88.2% from the previous year in September. 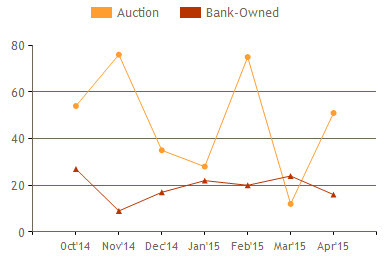 The number of Auctions increased 20.0% compared to the previous month and 57.1% from the previous year. Montgomery AL foreclosure activity was 0.01% lower than national statistics, 0.02% higher than Alabama numbers and the same as Montgomery County statistics in September 2014. In August, the number of properties that received a foreclosure filing in Montgomery, AL was 43% higher than the previous month and 22% lower than the same time last year, according to RealtyTrac.com. 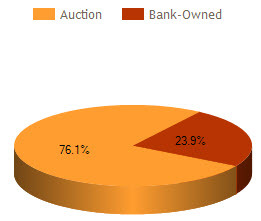 Auctions accounted for 71.4% of foreclosure activity in August 2014 and Bank-owned properties accounted for 28.6%. The number of Bank-Owned properties decreased 4.3% compared to the previous month and 42.1% from the previous year in August. 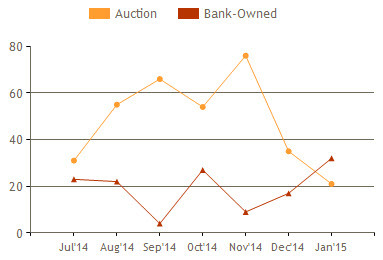 The number of Auctions increased 77.4% compared to the previous month and dropped 9.8% from the previous year. 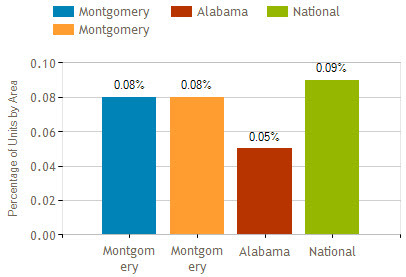 Montgomery AL foreclosure activity was 0.01% lower than national statistics, 0.03% higher than Alabama numbers and the same as Montgomery County statistics in August 2014. Buying a property through a short sale can be financially beneficial. But you need to go into the process understanding your market! That means having a knowledgeable realtor and attorney. A homeowner is “underwater” with their mortgage when they owe more than the value of their home. The term “short sale” comes from the situation where the proceeds from a sale are less than, or “short” of, the amount of debt. Lenders are motivated to allow a short sale when they perceive it will create more net income than a foreclosure. Sellers are motivated because it puts them in more control of timing, and causes less damage to their credit than foreclosure. 25% of US homeowners with a mortgage are underwater. That is 10.7 million homes! That percentage is down from 28% in September 2012. It is important to note that 8.3 million of those homes are on the edge of being underwater with a LTV ratio of 90%-110%. The other 2.4 million have an average LTV ratio of 125%. A primary factor helping that downward trend is a decline in investors’ interest in short sales. A decline in investors buying at discount means prices are moving upward. Increasing prices means increases in value, which means increases in equity for the homeowners. However, according to RealtyTrac.com it will take years, not months, for the 125% LTV owners to recover enough equity to allow them to sell. That means the short sale opportunities are available for a while. 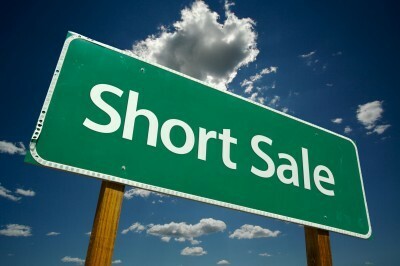 As a buyer of a short sale, be aware the process takes time. All parties have many more documents to review and approve. Your due diligence will take longer. And the process leading to a closing will take longer. Make sure you are working with a Realtor and an attorney who have experience with short sales in your market. One way to qualify a Realtor is to know they are trained as a Certified Distressed Property Expert (CDPE). That means they have specific training in streamlining short sales. It is not mandatory, but it is a valuable credential. At least, make sure your Realtor and attorney have actual experience with short sales. Go into the process with a lot of patience. 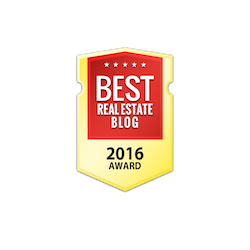 Information courtesy of Montgomery AL Realtor Sandra Nickel, Sandra Nickel Hat Team. In July, the number of properties that received a foreclosure filing in Montgomery, AL was 44% lower than the previous month and 44% lower than the same time last year, according to RealtyTrac.com. Auctions accounted for 57.4% of foreclosure activity in July 2014 and Bank-owned properties accounted for 42.6%. The number of Bank-Owned properties decreased 41.0% compared to the previous month and 54.0% from the previous year in July. 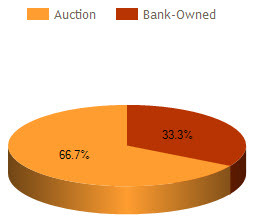 The number of Auctions decreased 46.6% compared to the previous month and 36.6% from the previous year. 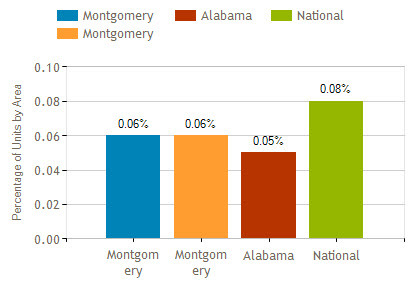 Montgomery AL foreclosure activity was 0.02% lower than national statistics, 0.01% higher than Alabama numbers and the same as Montgomery County statistics in July 2014.